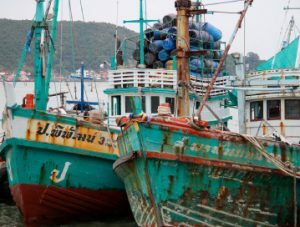 On October 12th 2016 in Bangkok, members of the FIPs Sub-Group took part in this important event which saw the eight private-sector fishery bodies – the Thai Sustainable Fisheries Roundtable (TSFR) announce a cooperation with Thailand’s government to adopt international fishing standards in the Gulf of Thailand. This marks the formal establishment of a fishery improvement (FIP) which will implement internationally recognized standards. The project’s main focus is to improve the efficiency of Thai fisheries management and governance, together with environmental responsibility and transparent traceability throughout the supply chain. As part of our strategic objectives, Task Force Members were instrumental in the forming of the TSFR and our Members have been working as part of the TSFR since 2014 to provide knowledge, experience and leadership to this welcome initiative. We see this announcement as highly promising and a sign of commitment from government and industry to create a long term sustainable fishery, taking into account the current problems with IUU and overfishing. This will be the first project globally to apply the latest version of IFFO Responsible Supply standards. The new IFFO RS V2.0 standard is the most suitable for the marine fisheries resource management in Thailand, as it is the first designed to address complex multi-species fisheries. The Gulf of Thailand assessment will be a good test case for the new standard since Thailand’s Seas are filled with multi-species fish. The FIP will ensure the effective management of marine resources for the development of fisheries for maximum sustainability. We continue to work alongside the TSFR and have updated our Task Force List of Asks to the Royal Thai Government to include essential fisheries management commitments.